It’s safe to say that a patient’s comfort level has a major impact on their experience seeking consultation from a medical professional. That is especially true when dealing with sensitive issues such as those related to urology. It affects their willingness to share intimate personal details and may even influence their decisions regarding treatment. It isn’t hard to imagine that some male patients would struggle with the idea of seeking a woman’s professional guidance on a subject so personal. Conversely, it’s easy to suggest that some women may be more comfortable sharing such details with another woman, rather than a man. This isn’t a rule, though. There are men who prefer female physicians and vice versa. Male and female patients alike may simply be seeking care from someone they feel they can talk to openly. Yet, as Dr. Diana Kang of Scripps Health in La Jolla, CA, told me recently, “Some men are still a bit uncomfortable seeing a woman in urology.” It boils down to a patient’s comfort level and the factors that have shaped their personal perceptions pertaining to physician selection. Examples of physician-patient interactions where gender preference plays a role are still easy to find, despite the rise in female urologists and rationale behind why a patient might choose a woman over a man as their provider. Perhaps there are other considerations to be made with respect to why the field has experienced growth in recent years. It may be that women in medical school are identifying with mentors who forged a path for the future of female urologists. “That can be important to women when they are going into a male-dominated field. They don’t mind being relatively rare, but few want to be the first and only woman,” Dr. Kang said. Dr. Carol Kashefi, current president of the San Diego Urologic Society, shared an experience that shaped her view of gender issues related to patient care. During Dr. Kashefi’s residency, one of her attendings overheard an employee scheduling a new patient. The employee stated, “She’s a female. Is that okay?” which, in the attending’s opinion, implied that it was not. The attending immediately shared her feelings about the way these calls were being handled. She asked if the same question was posed when scheduling a patient with a male provider, and it wasn’t. Her referral rate improved once this adjustment was made. Once Dr. Kashefi moved into private practice, she made sure that her calls were handled in the same manner—meaning that they were handled identically to calls taken for her male counterparts. It avoids creating a gender bias issue that may not even exist and provides more of an opportunity to overcome one when it does. Consulting with an experienced female physician may make all the difference to a woman. As awareness of the issues and access to female physicians increases, the stereotypes and misconceptions related to women in the field of urology will diminish. Eventually we may even be able to correlate improved female urological health with these changes. We will have the female mentors, both past and present, who have influenced these advancements—our real difference makers—to thank for the continuing betterment of how the medical field treats female urologists and, in turn, the impact they have on their patients. Dr. Kang and Dr. Kashefi are independent physicians with no financial ties to Cook Medical. Ozambela M, Raup VT, Hanna N, et al. Trends in the gender distribution of U.S. urology residency programs compared to other surgical specialties. Abstract presented at: 85th Annual Meeting of the New England Section of the American Urological Association; September 2016; Portland, ME. Peckham C. Medscape physician compensation report 2015. Medscape Web site. http://www.medscape.com/features/slideshow/compensation/2015/public/overview#page=14. Published April 21, 2015. Accessed February 9, 2017. The state of the urology workforce and practice in the United States 2015. American Urological Association Web site. http://www.auanet.org/common/pdf/research/census/AUA-Census-2015-State-of-the-Urology-Workforce-and-Practice-in-the-United-States.pdf. Published April 6, 2016. Accessed February 9, 2017. Rutsch P. Why the urologist is usually a man, but maybe not for long. National Public Radio Web site. http://www.npr.org/sections/health-shots/2015/04/29/402850925/why-the-urologist-is-usually-a-man-but-maybe-not-for-long. Published April 29, 2015. Accessed February 9, 2017. Freeling NA. Patients find comfort in women urologists. Urology Association of North Texas Web site. http://www.uant.com/news-patients-find-comfort-in-women-urologists.php. Accessed February 9, 2017. Miranda Weber is the Sales and Clinical manager for North America and Latin America, managing internal and external education programs. 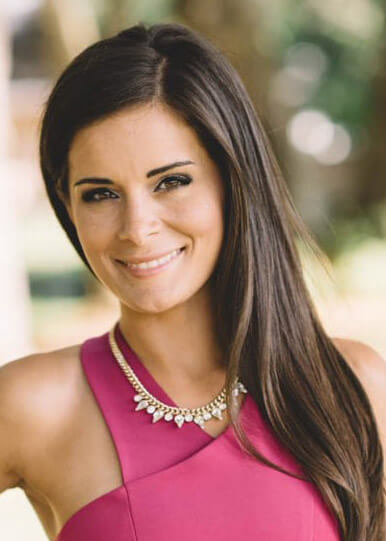 She has been with Cook for four years, starting out as a sales representative for Urology in north and central Florida. She received her bachelor’s in business management from the University of North Florida. Miranda currently resides in Mobile, Alabama.